It's a bit frustrating to declare that acquiring Path of Exile on PlayStation 4 for this console users is held off, as Grinding Gear Games has determined to delay the release of the PS4 version of Path of Exile to mid-March instead of February as all players expected previously. Grinding Gear Games, the developer of Path of Exile, initially announced the release of the game on PlayStation 4 in November 2018, where indicated the release date would have been settled in December 2018. Although soon after that the December plan has been aborted, the developer rescheduled the release for early February 2019, saying the PS4 version would be expected to go live by then. However, in the most recent update from Grinding Gear Games, the February plan seemed to be ruled out too. According to the official Twitter announcement from GGG, we are aware that if all goes well, the PlayStation 4 version is expected to come out in mid-March, the game will be available for all PS4 users on this console by then. In regard to the February release note, the tweet clarified that the announcement of a delay to February was nothing but an estimation, so technically the new release window isn't a postponement since no specific date was given in the February release estimation. Still, the PlayStation 4 players might not care less about the semantics of the announcement, as what really matters to them is only waiting another month to see the result this coin-flipping since no exact release date was given by the publisher either this time. Grinding Gear’s wording from the first delay can be found below and listed only “early February” as a release window. Path of Exile’s developer will have another announcement this month ahead of the March dates listed above, the first of which will come on February 19th. 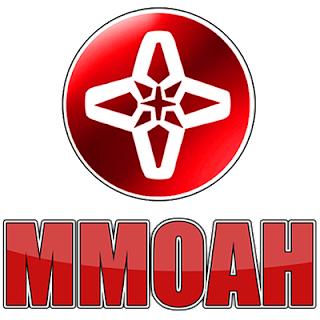 MMOAH.com now opened up a New POE Currency store and welcome all the gamers have been yearning for POE Orbs, Items, and other POE Currency in new Betrayal League. Take a look at the new store, if you purchase now, you will be given a coupon code - "BETRAYAL" for free, which can save you 6% off for every order on MMOAH.